This luxurious long ombre wig was created exclusively for Wonderland Wigs, with inspiration taken from Stacey Solomon’s stunning long wavy dip dye style hair. The wig is dark brown at the crown, and is thicker at the top with a layered choppy look, the under hair is long and wavy and is a golden blonde shade. 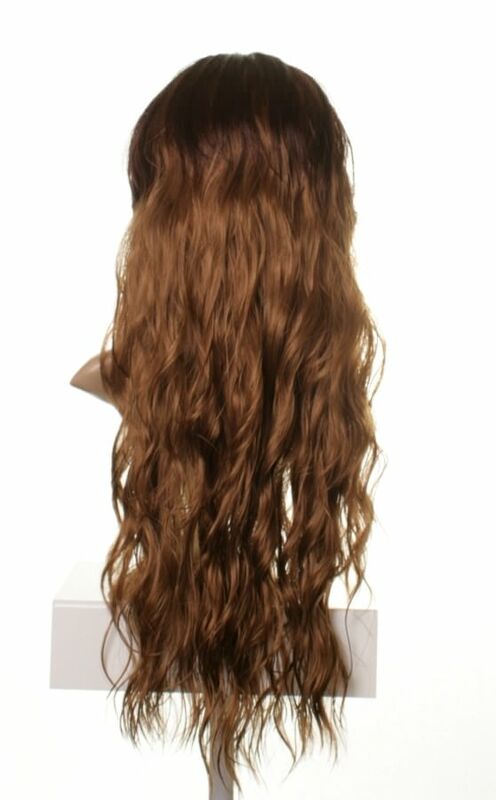 The wig has a classic Stacey Solomon style centre parting perfectly finishing this stunning ombre wig. 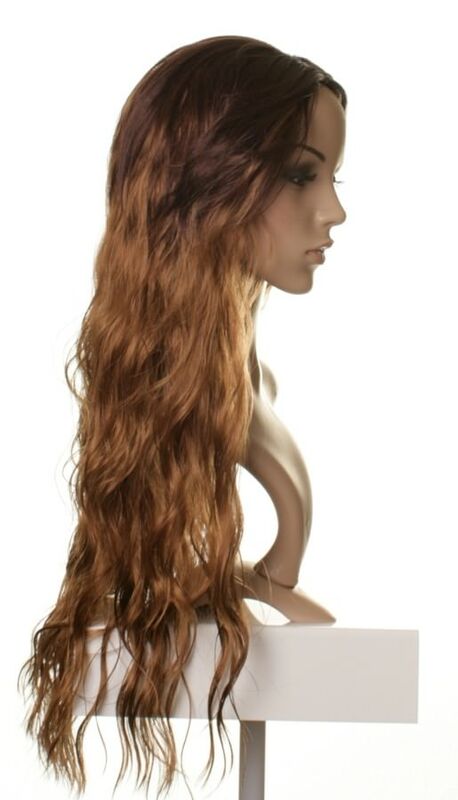 Check out our other ombre and dip dye wigs.